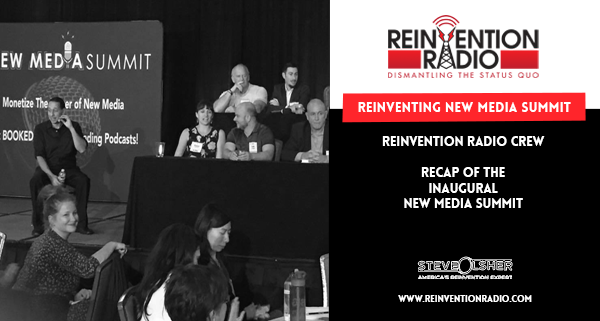 Steve, Mary and Richard provide a recap of the inaugural New Media Summit held at Paradise Point on September 22 – 24. The event was hosted by Steve Olsher and included 40 of the top podcasters (a/k/a Icons of Influence) who accepted 2 minutes pitches from each of the 150 attendees to be on their shows. The renowned group of Icons included powerhouse podcasters like Nathan Latka, JJ Flizanes, Tonya and Neva Recla, Allison Melody, Paul Colligan and many more! Tune in as the Reinvention Radio Crew shares their individual experiences and thoughts on the event. Mark your calendar for the NEXT New Media Summit… April 13 – 15, 2018. Reinventing Passion – In this episode, Moustafa Hamwi chats with Steve, Mary and Richard about how he helps empower passionate leaders to succeed.